The Amrit Villa hotel is located in Karol Bagh in Delhi. The metro station of Karol Bagh is within a kilometre from the place. Bhuli Bhatiyari ka Mahal is located within a walking distance from the hotel and other attractions like Jama Masjid, Fatehpuri Masjid, Raj Ghat and various other places are easily accessible as well. 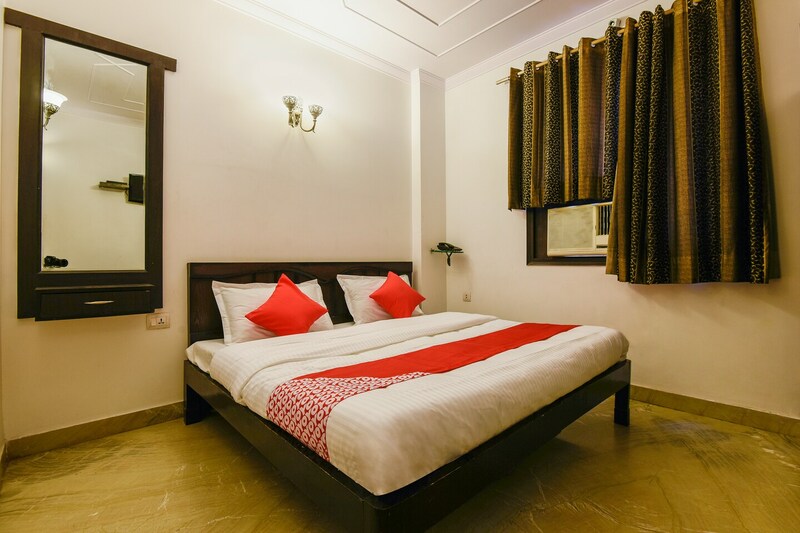 The hotel provides basic services in each room like air conditioning, power backup, free Wi-fi and card payment facility for payment at the time of check out. There is an intercom service and seating area in each room. You can visit eating and Karol Bagh Market for amazing eating and shopping experience.